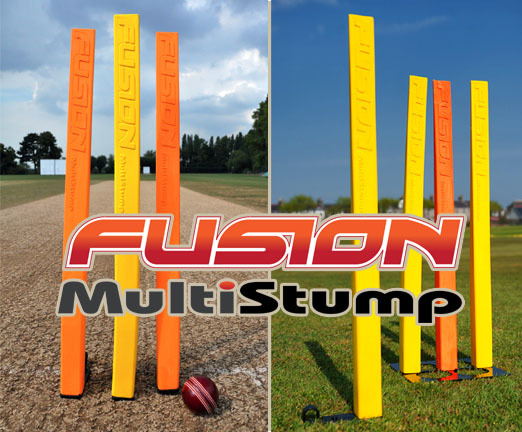 The FUSION MULTI-STUMP is a must-have for any club or school and a leap forward in cricket training aids. Look at any International or First class ground and see which stumps they are training with. Can they all be wrong ? NEW AND IMPROVED FOR 2017 - The FUSION MULTI-STUMP, cricket coaching and training aid, is aptly named due to the multiple roles it can perform. 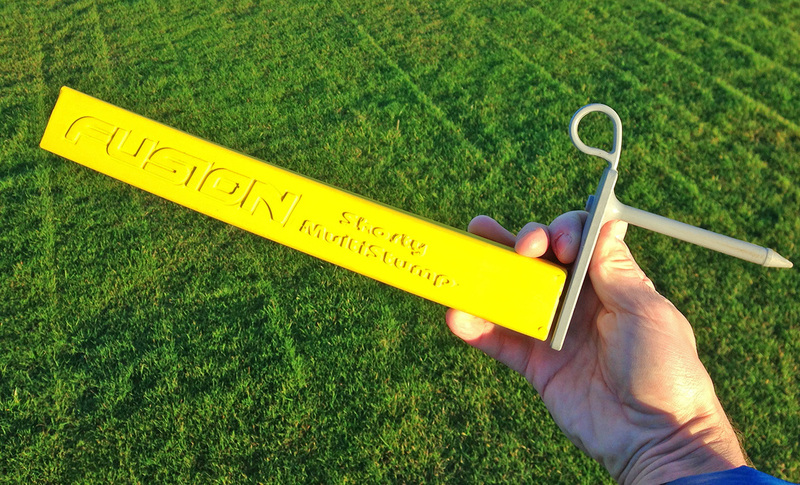 This revolutionary product takes the previously functional stump into the 21st century and provides the coach and player with a training aid which responds to the needs of the modern cricketer. It is weather resistant, durable, light, flexible and bright and due to the unique interchangeable spike or base can be easily used on grass, AstroTurf or indoor surfaces. 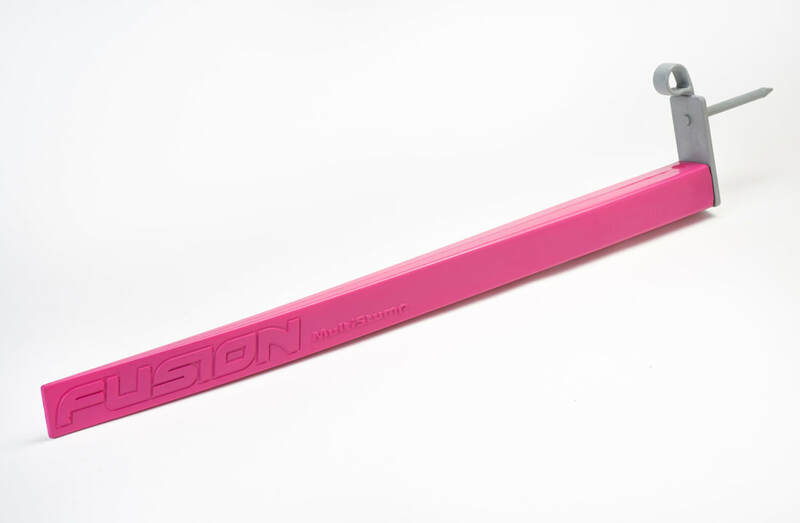 The Multi-Stump was designed by FUSION SPORTS following a request from the England cricket team to provide a stump which would not be routinely broken by their fast bowlers. 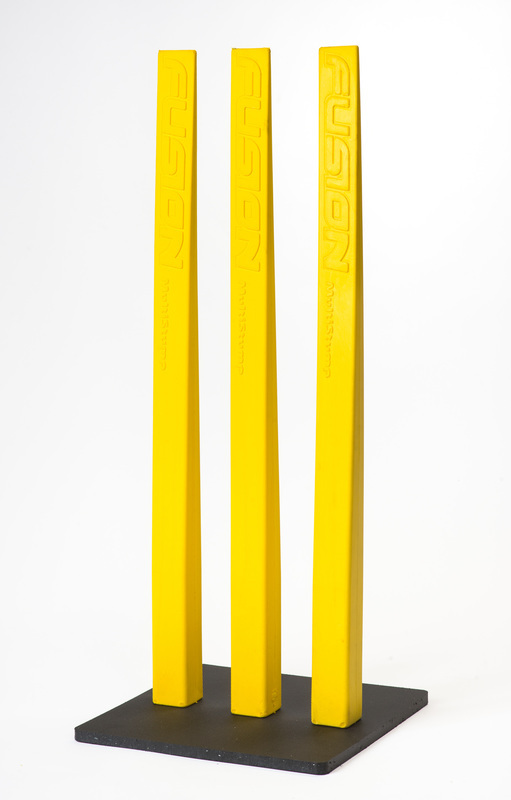 Fusion Sports answered that call with the MULTI-STUMP, which is exceptionally durable and the NEW IMPROVED model launched in late 2016 is very flexible (Much more so than previous model) which allows the ball to travel through the stump with minimal deflection, a big advantage to current stumps on the market today as this makes it far safer to use. The Multi-Stump is also used as a catching training aid. By passing a ball through the MULTI-STUMP, by either throwing, hitting with a cricket bat or using a Katchet, the ball takes a small secondary deflection through to waiting keeper and slip. This is ideal for keepers wishing to practice up to the stumps, but equally as useful for standing back practice. The MULTI-STUMP can also be used as a bat for nicking practice up to the stumps. Due to the tapered design and the properties of the material, balls pass straight through the stump. This means fielding drills can be run continuously without having to replace the stumps when hit. Varying deflections from the stumps means keeping drills can be run with the keeper stood back or stood up. 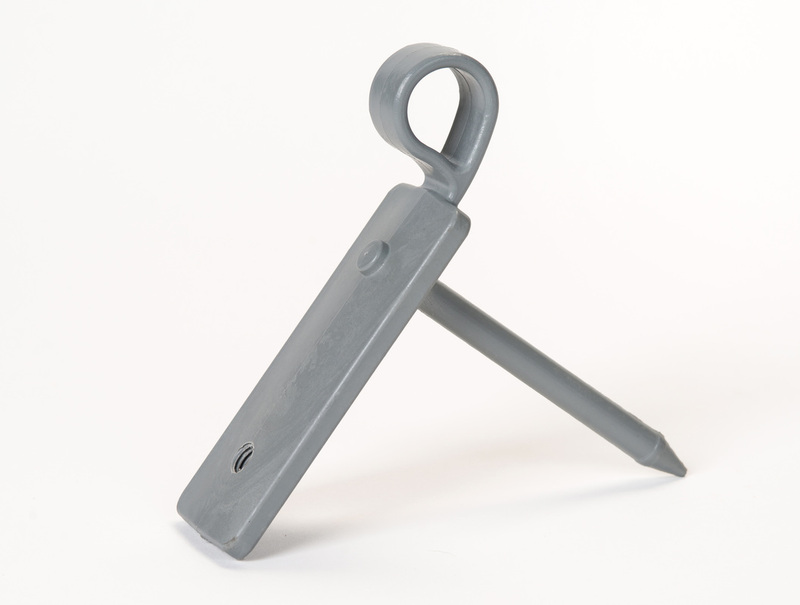 Ideal for getting bowlers close into the stump without the fear of damaging fingers. NEW AND IMPROVED FOR 2017 - The Shorty was introduced due to popular demand. Measuring 14 inches in height the Shorty is perfect for focusing bowlers and fielders towards hitting the base of the stump.